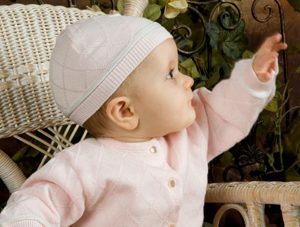 Finding great baby staples for them be comfortable in and grow with can be so hard, and that is before making sure it’s cute! Sometimes an outfit may be cute but the material is not soft and poorly made. 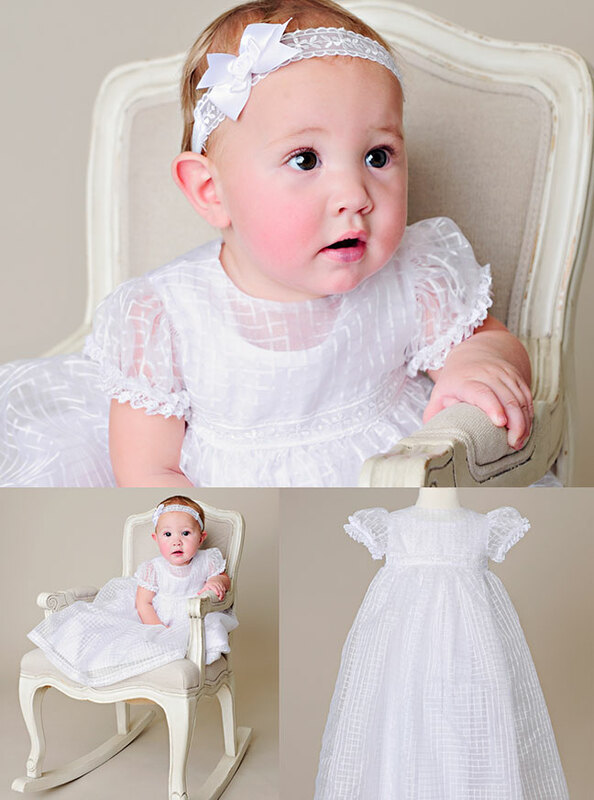 Today we are giving you a preview of our Spring 2015 line, Bamboo Layettes and Gowns! We could not be happier about this in-coming product that will change how you look at baby clothes forever. Like our Bamboo Bodysuits they are super soft, stretchy while retaining their shape and have matching accessories that include an adorable hat and blanket. The Layette features a small side tie for you to easily put it on and off, separate bottoms with pocket detail and ankle slit. 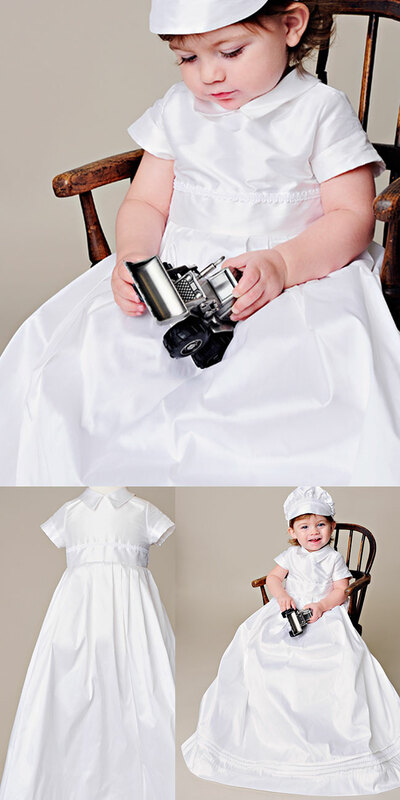 You’ll never want to take your little sweetheart out of them! 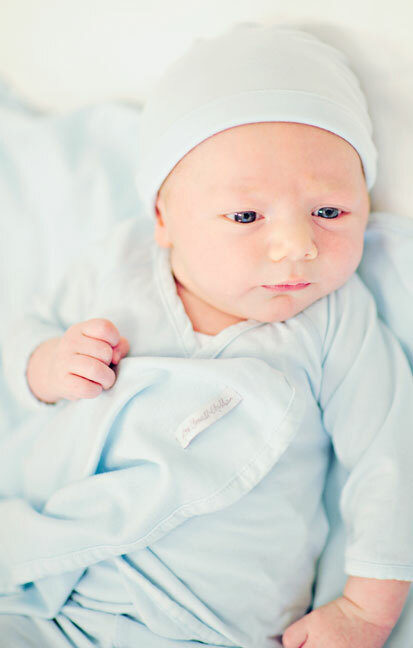 We know you will love these amazing Bamboo Layettes and Gowns for their amazing feel and beautiful color offerings including: blue, pink and white. Make sure to follow our social media feeds to be the first to know when they are available for purchase! 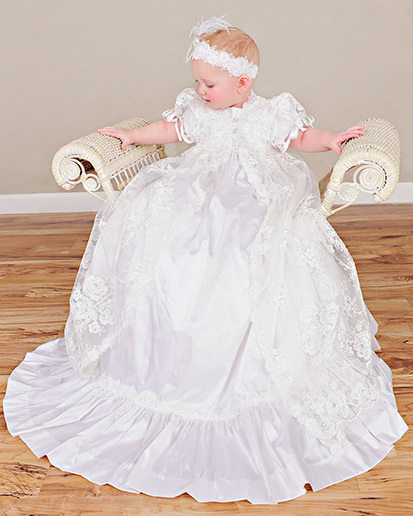 A truly stunning work of art, our new Sophie christening gown is nothing short of breathtaking! 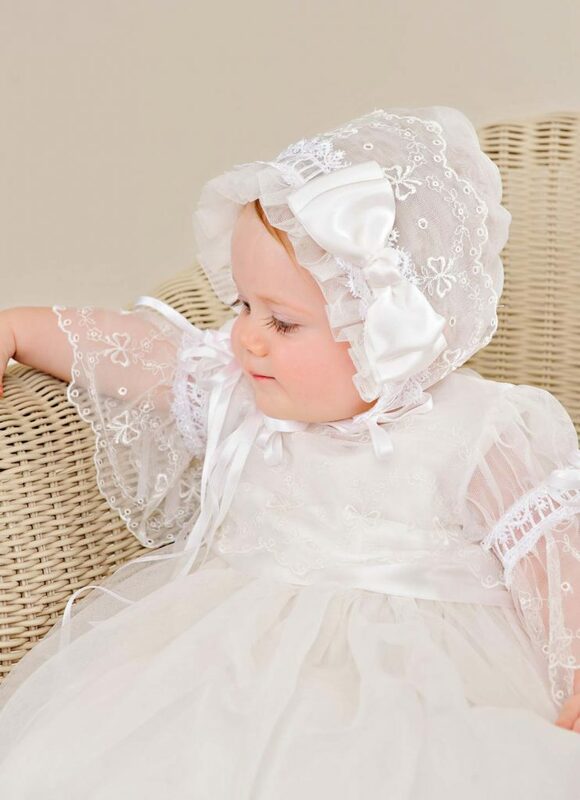 This set includes the beautifully made extra-long gown over a separate cotton slip, and gorgeous headband–all trimmed with 100% silk ribbons. 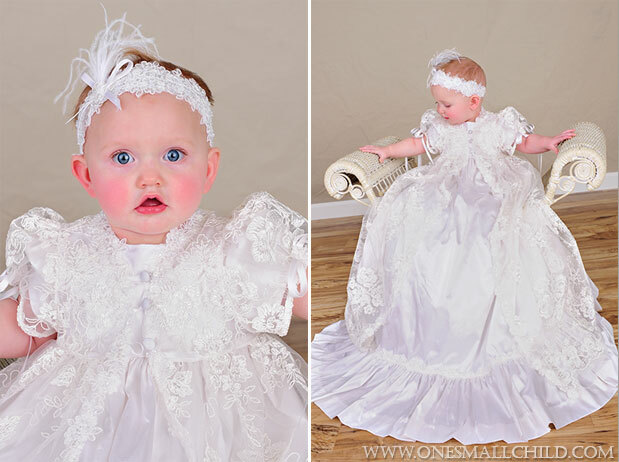 Check out the newest addition to One Small Child’s christening selection, the lovely Lydia silk christening gown–it’ll take your breath away! Our new Anthony silk christening suit is to. Die. For. Gorgeous! Made of sumptuous 100% silk dupioni, the short-sleeved romper is dressed up with hand-sewn pintucks and silk-covered buttons. The long-sleeved jacket attaches to the romper at the waist and features a cut-away front hem that dips down to a long formal back (you can view our beautiful detail photos here). A jaunty visor-beret hat finishes off the look, reminding me of a child in a Victorian painting, all soft and dreamy and fancy, but still clean-lined and boyish. We’re excited to introduce another new product category at One Small Child! 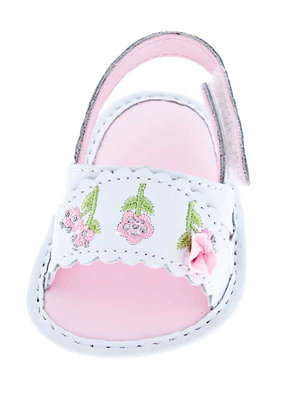 We’ve brought in an adorable assortment of darling shoes, sandals, flip-flops and socks for every-day wear. Be sure to check them out–they’re all cute, well-made, and reasonably priced. Check back often, as more new styles are on the way! 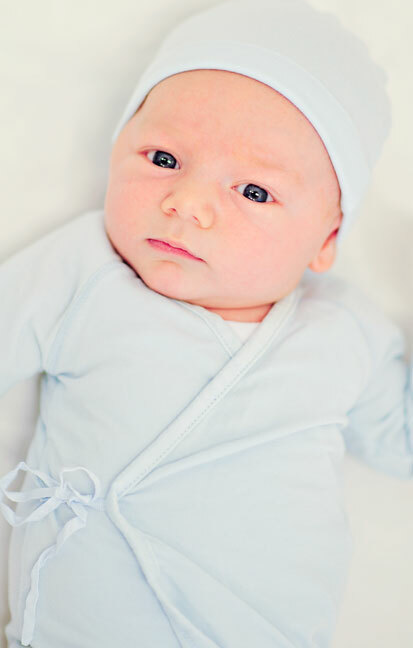 Hot off the sewing line: this cute little number for your no-frills baby boy. 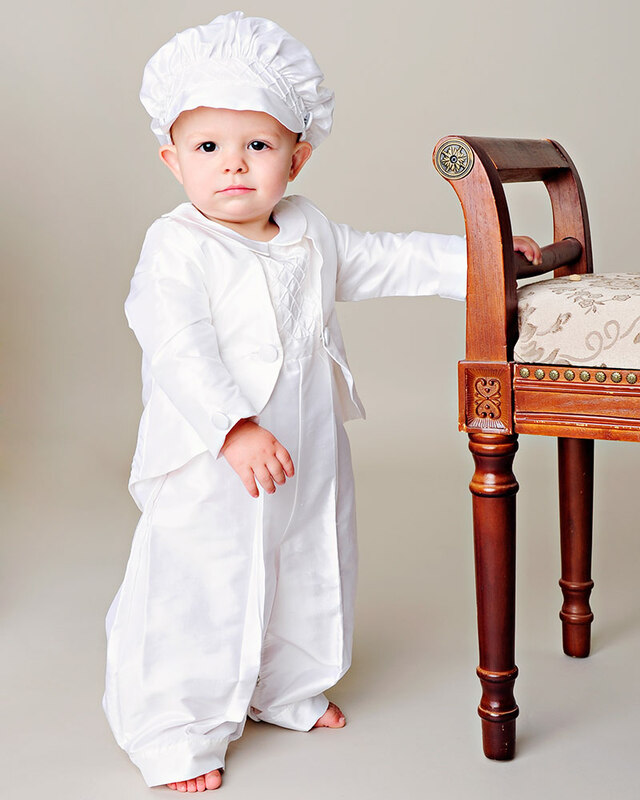 The Owen shantung christening outfit features our dressy poly-dupioni shantung in pure white, short sleeves and legs for cool comfort in warm weather, and simple button trim. Order yours today! 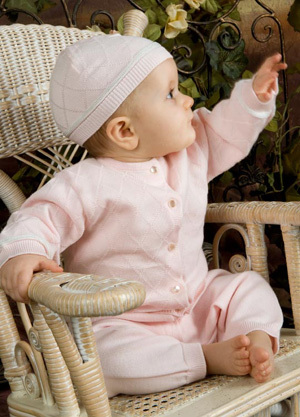 We’re pleased to offer a new product category at One Small Child: sweet infant layette items in soft colors with a dressy twist, available in fine cotton sweater knits and cotton lawn fabrics. 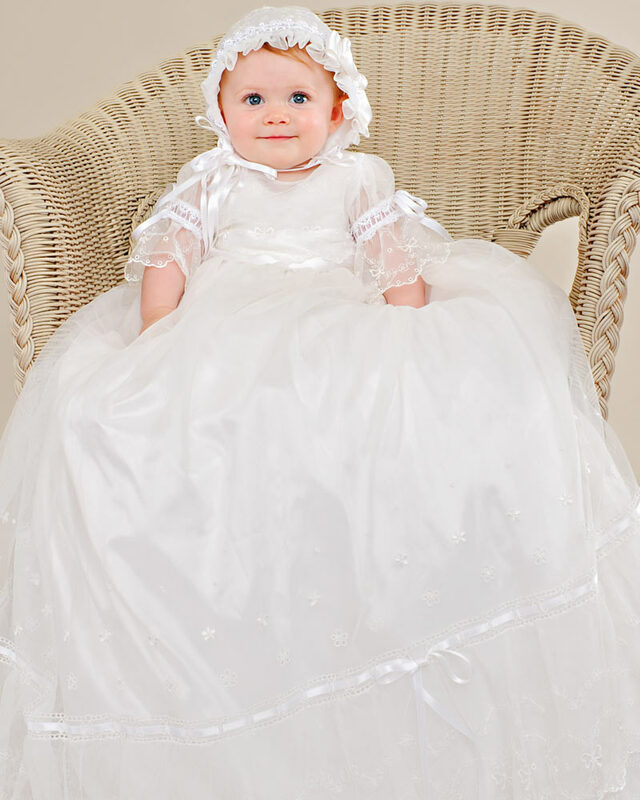 These styles are perfect for bringing baby home for the very first time, special portaits, celebrations, or just for every-day-cuteness! Check them out today!